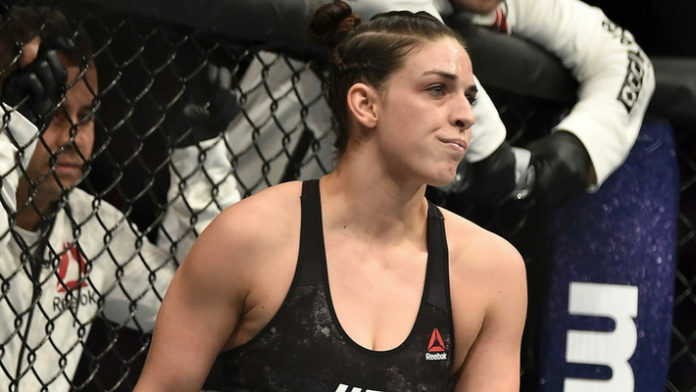 Mackenzie Dern is riding a high following her successful Ultimate Fighting Championship (UFC) debut. Dern earned a split decision win over Ashley Yoder on the preliminary portion of UFC 222. She battled through some adversity in the fight, being knocked down but quickly getting back to her feet. With the win, she improves her mixed martial arts record to a perfect 6-0. She went on to say that a second bout under the UFC banner in Rio would be ideal. Sound off in the comments below. Who should Mackenzie Dern fight in her second UFC bout?